Stop Online Puppy Mills is dedicated to ending puppy mills. If you would like to help us end puppy mills, please consider making a tax-free donation to help us spread the word. Education and awareness are the fastest ways to end this legalized cruelty. Stop Online Puppy Mills is a 501(c)3 tax exempt organization. We are volunteer based which means we have no employees. 100% of your donation will go directly to ending puppy mills. 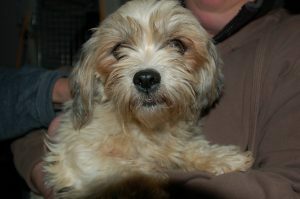 We are not a rescue but are often contacted about puppy mill busts and are asked to help place rescued puppy mill dogs. Most puppy mill dogs have been denied years of vet care and need medical help once rescued. High vet bills create huge burdens on the rescues or shelters that take in rescued puppy mill dogs. To help with the placement and high vet bills, we offer sponsorship to our shelter partners when they take in rescued puppy mill dogs. If you would like to make a tax-free donation to our Puppy Mill Rescue Fund please use the link below. Click here to see recent rescues.